This is sooo precious. Wow...you are getting fancy creating patterned paper...something I haven't done but I was certainly admiring it when it was in MY HAND. I love seeing the cut files you purchase that "come alive", then I go buy them. Sometimes I can't get a mental image in my head. This is so darn cute! Those shadow boxes are one of my fave's to make too. 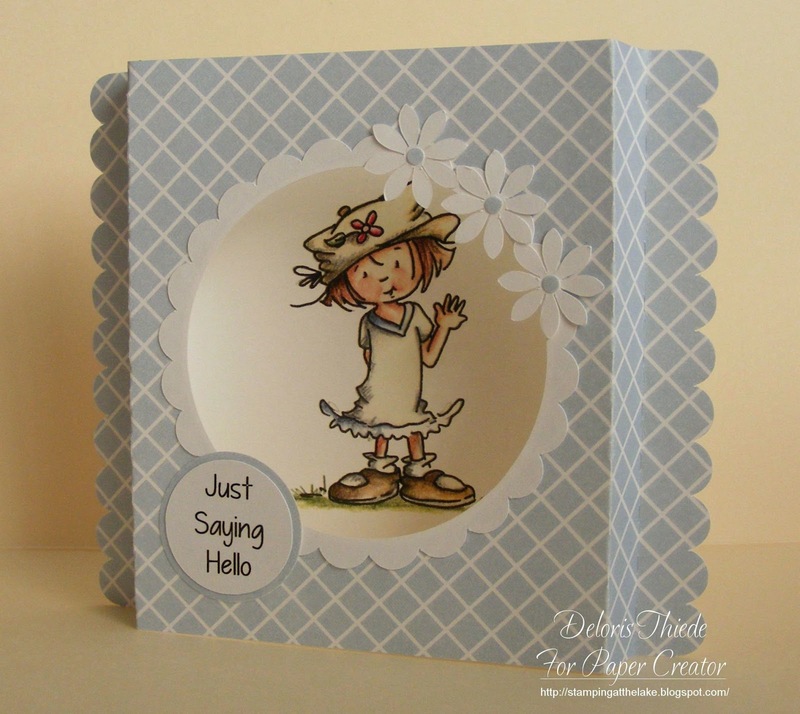 Fabulous cards Deloris, such a sweet image and brilliant design. You've made a beautiful card for our 'All Things Cute' Challenge over at Crafty Friends Challenge Blog. Love that it is a shadow box card, they look fab. Good luck in the draw and hope you can join us again for our next challenge. Fun looking at all the elements on this cutie. Love the shadow card with the fun paper you made. Not sure how to use those overlays on Mel's page but you made some fun papers! I'm so sorry for the late post. Your project is fabulous with so many wonderful details! Thanks so much for sharing with us in the Crafty Friends "All Things Cute" challenge!